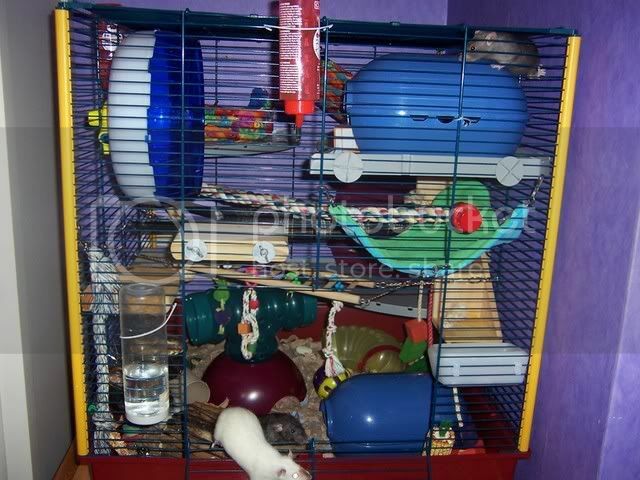 We did have a cuddle cup on the top left shelf(why it kind of looks a bit bare) before but they destroyed it, I mean properly destroyed it and I'm refusing to replace it for the little vandals! 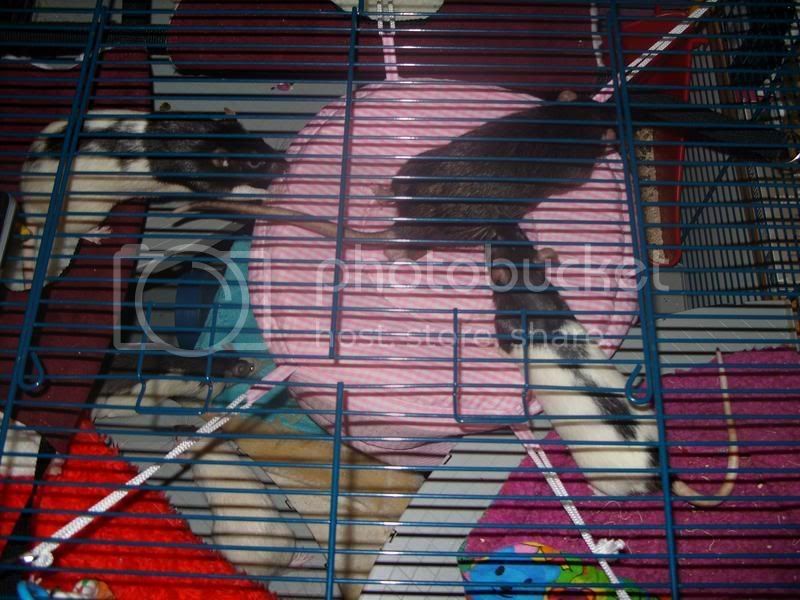 Dont care how cute they were when all six squeezed in it! 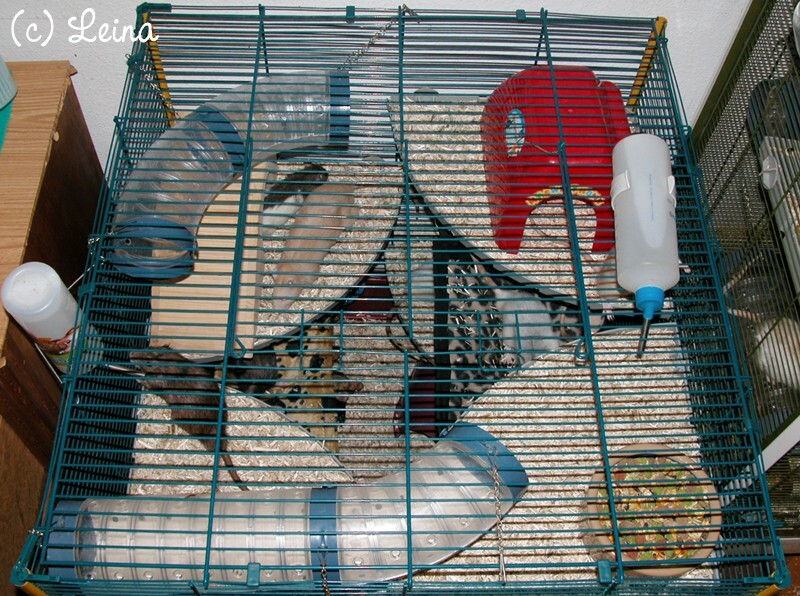 The white food dish is purely for their fresh food/pea dipping and is very nice since its attached to the cage, two sepearte metal dishes,one for dry mix one for wet mix. 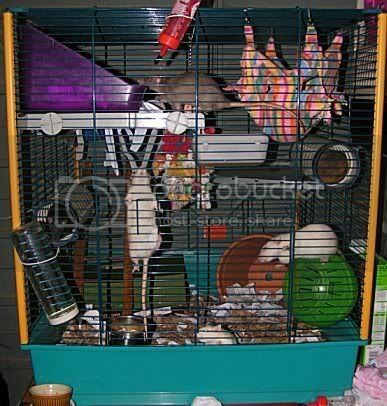 Also they get spoiled with another water bottle with soya milk on tap in additon to their two normal ones. 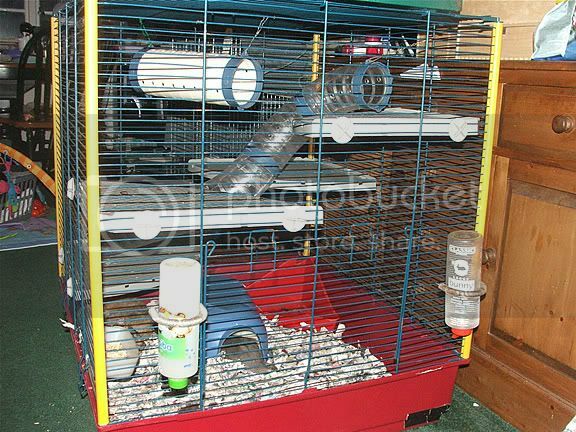 Also only thing you can really see in the pics is another litter tray in the bottom far corner. 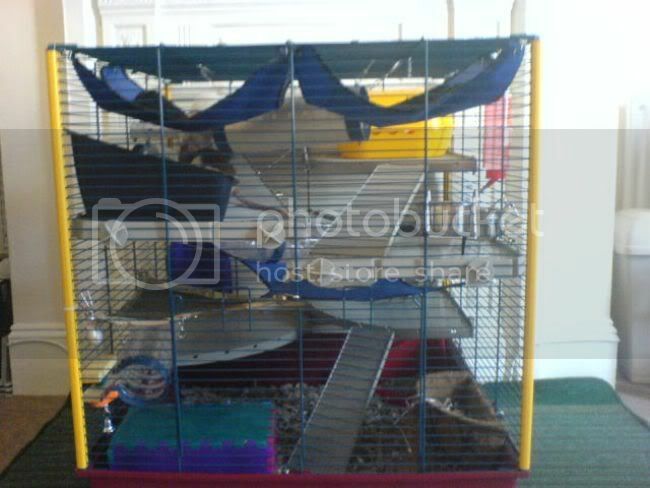 this is my furretxl which i got yesterday, and i love it and so do my babies. 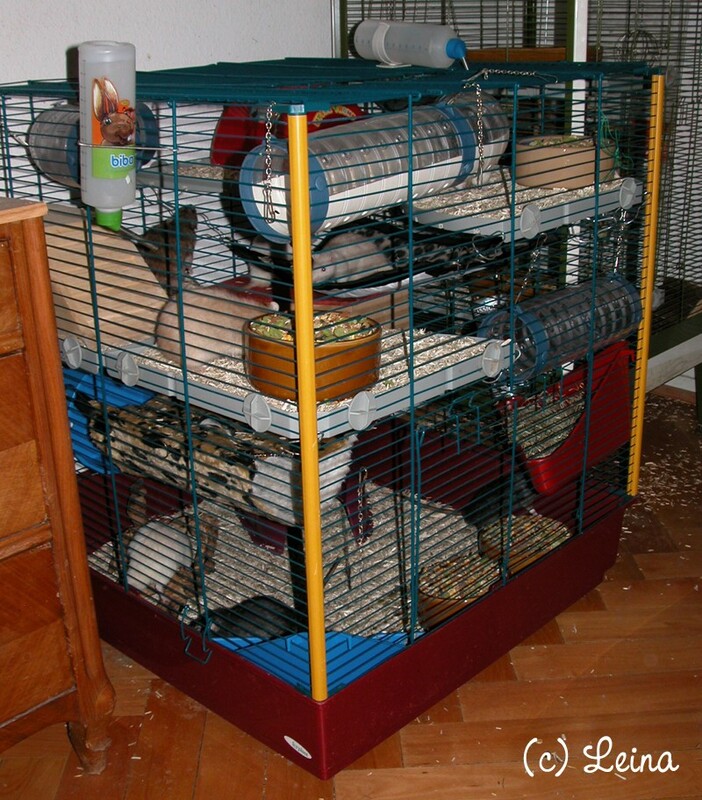 and i use bio-catlet that u can get at tesco's for inside litter tray and i use bedexcle on bottom. 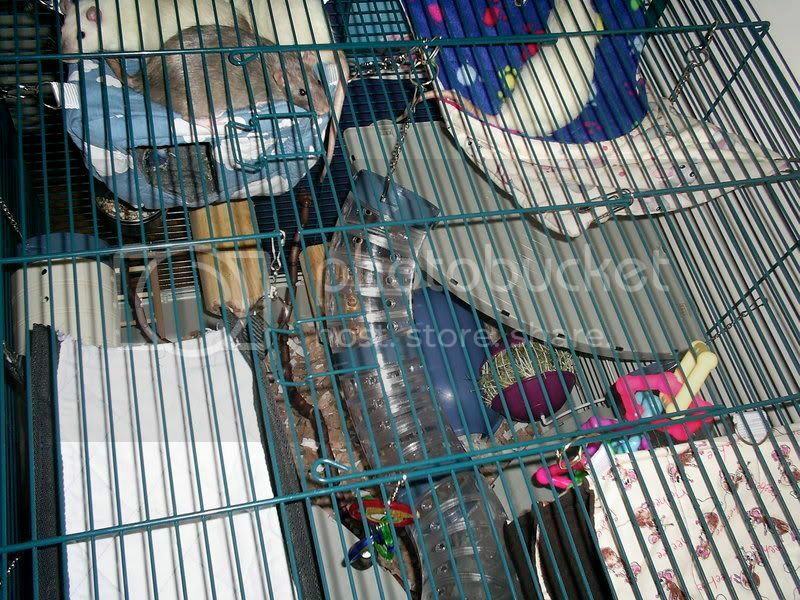 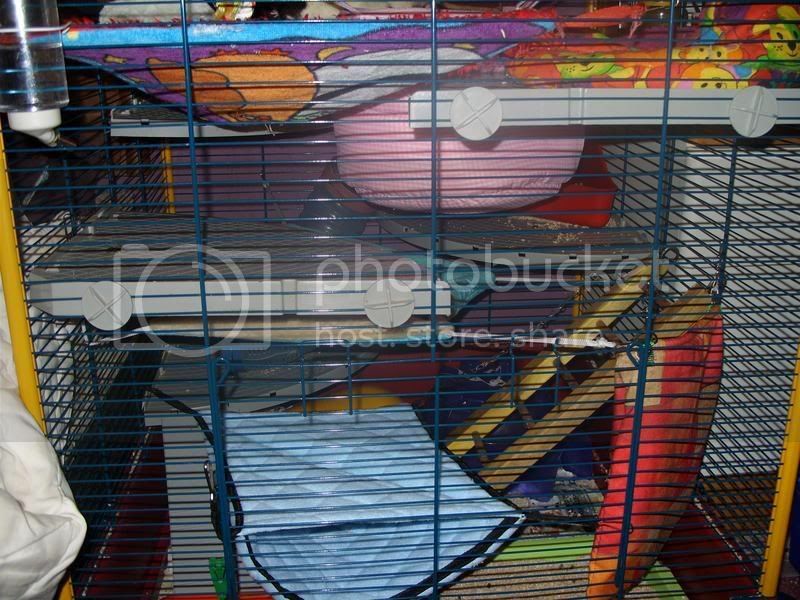 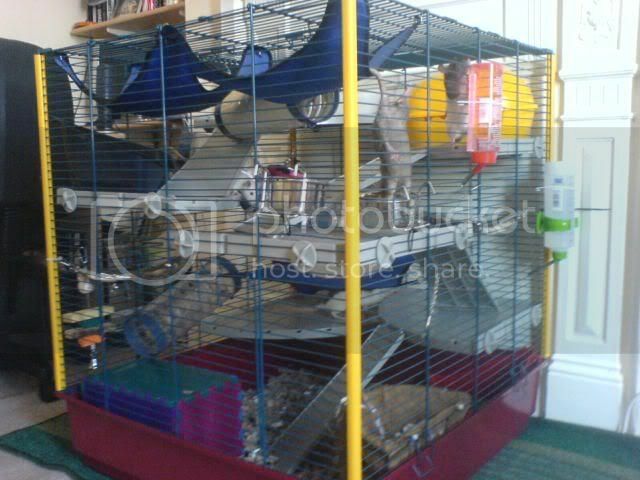 This is just one of my cages, they're all different inside, but majority are XL cages currently.. 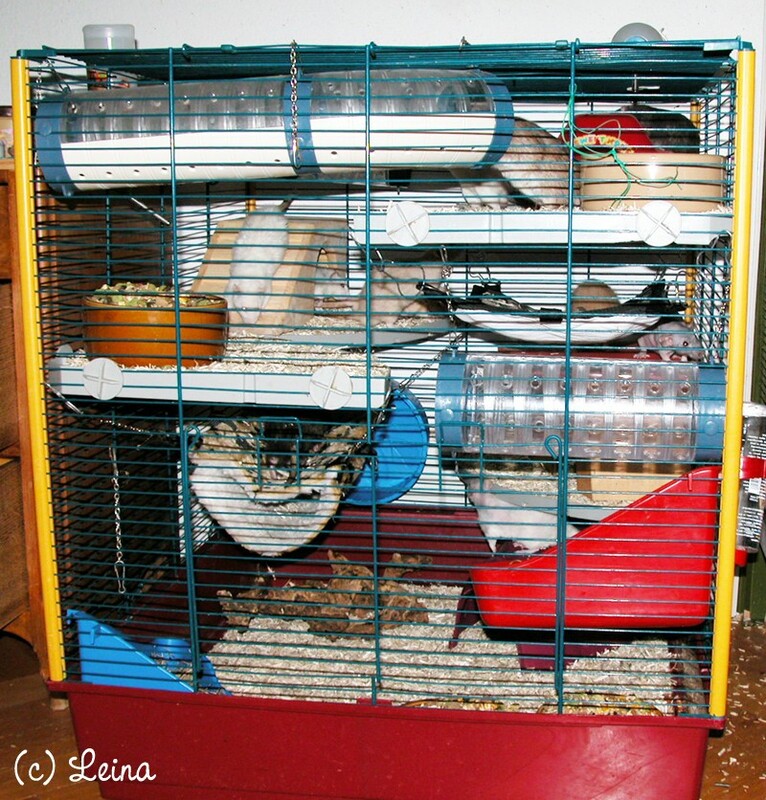 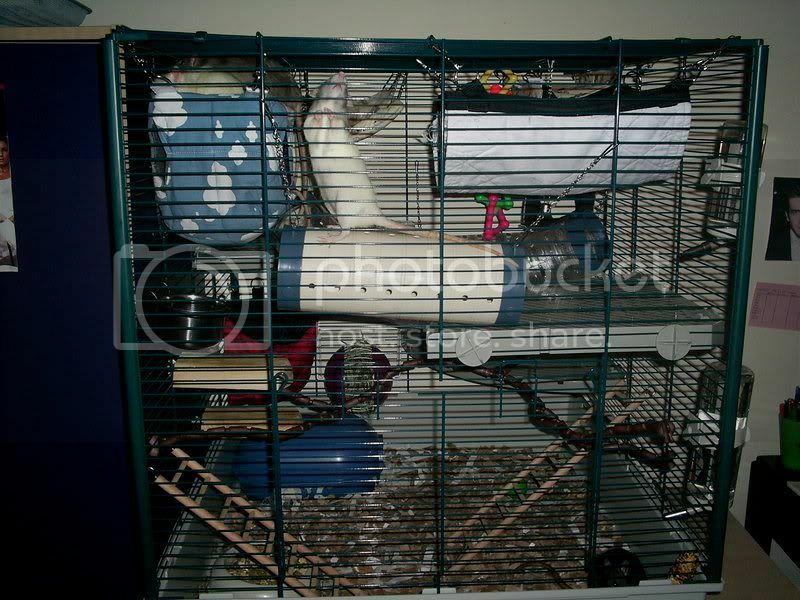 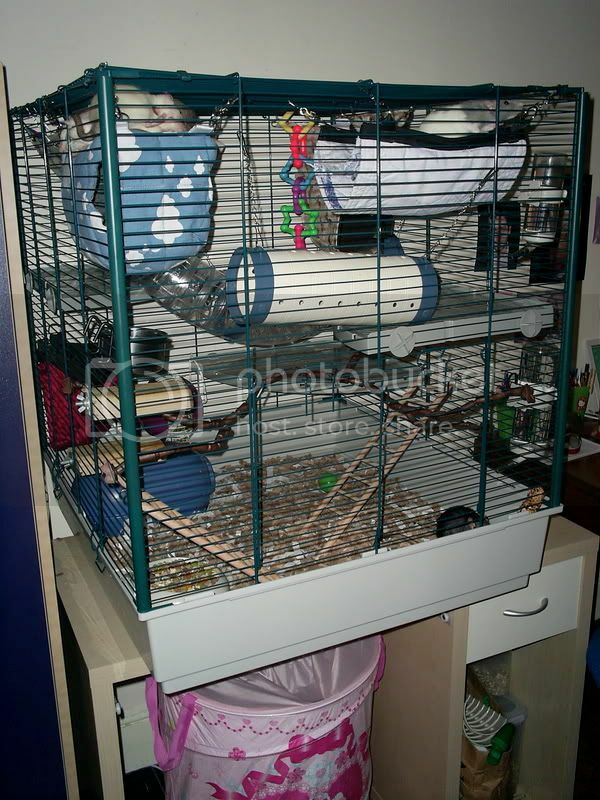 I got my brand new Furet Tower for 120 GBP -- a bargain. 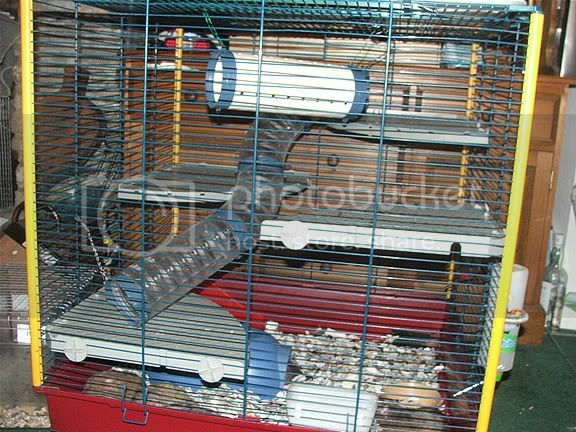 I'm really happy with it and so are my four does! 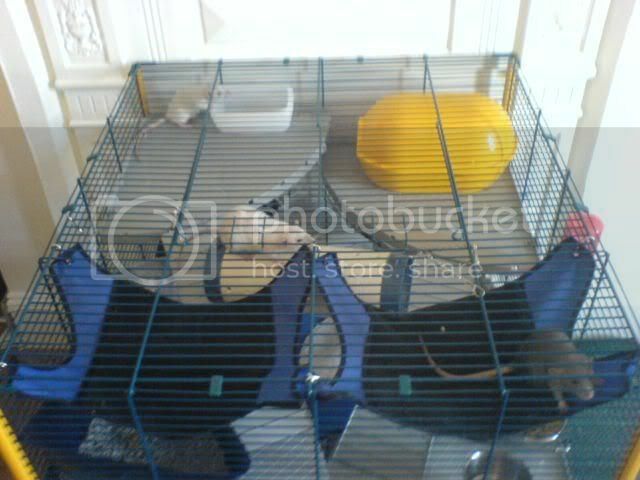 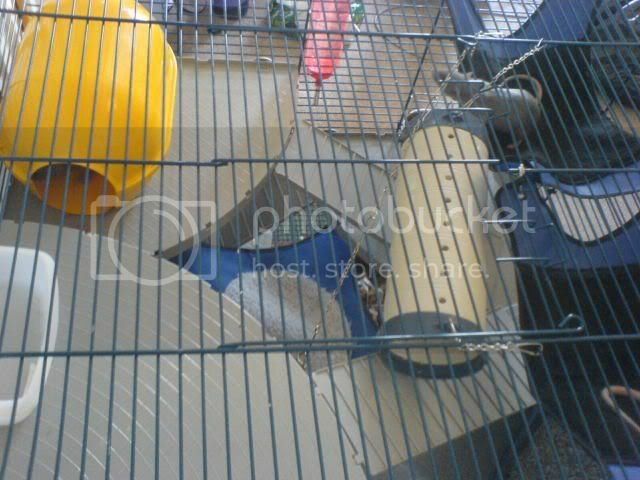 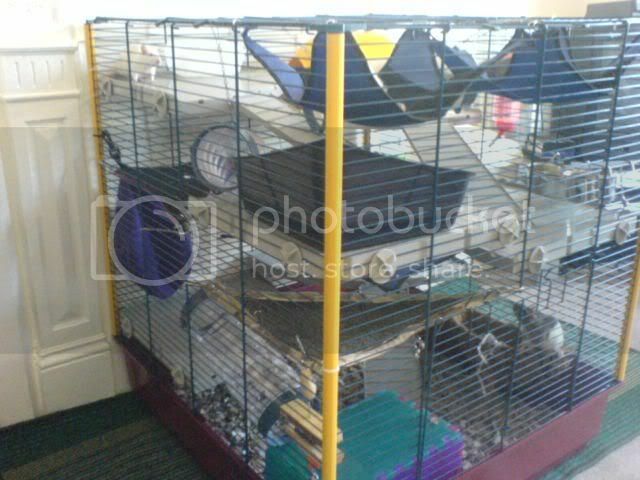 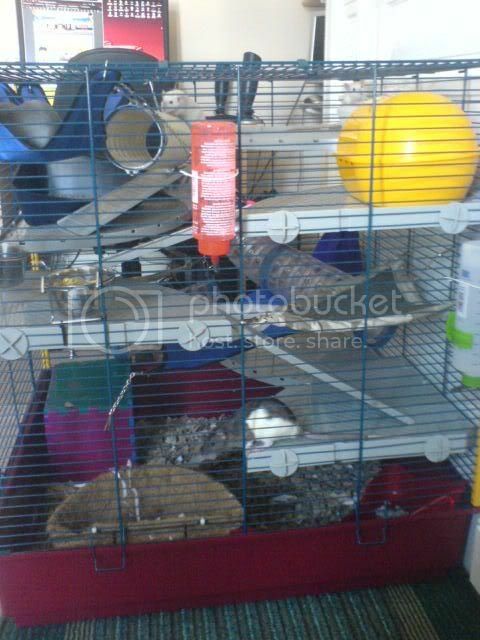 Tunguska wrote: I got my brand new Furet Tower for 120 GBP -- a bargain. 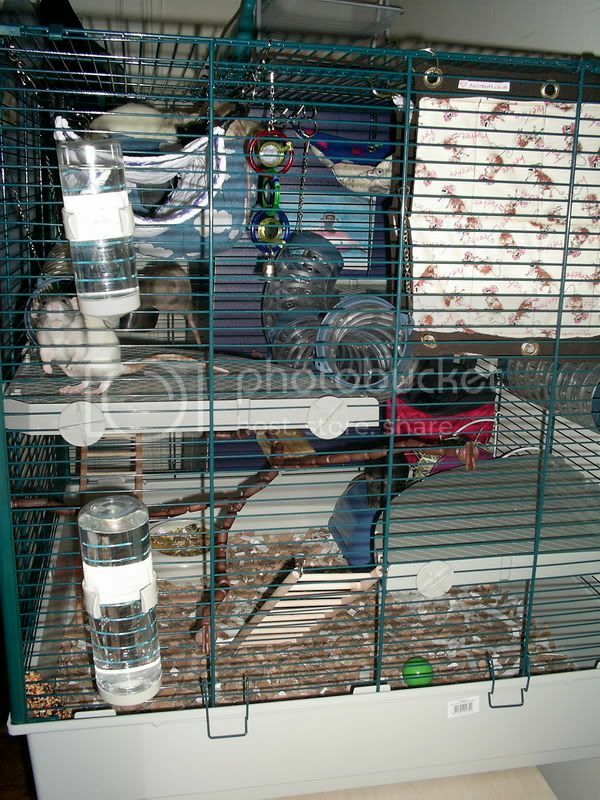 Ok, the many cages of the Carreg hoarde! 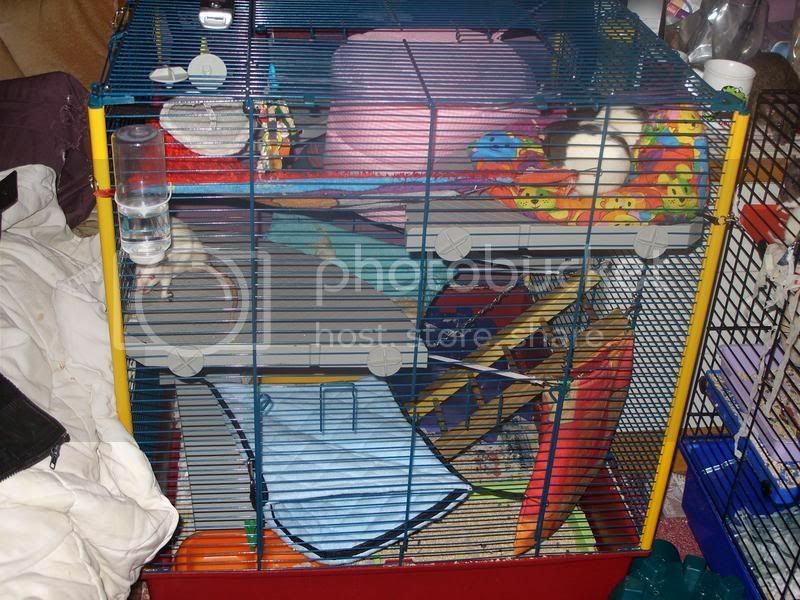 Ash, Fynn, Fidgit, Memphis, Denzil, H, Lyle, Ernie, Ruby, Millie, Marge, LuLu-Blue, Missy, Echo, Peaches, Domino, Chemmy, Sponge, Indie, Tate, Jermaine, Bert, Russel, Socks. 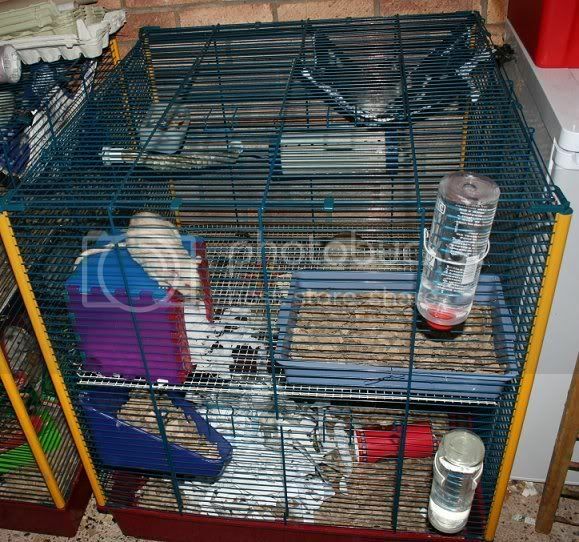 A few of my old cages..